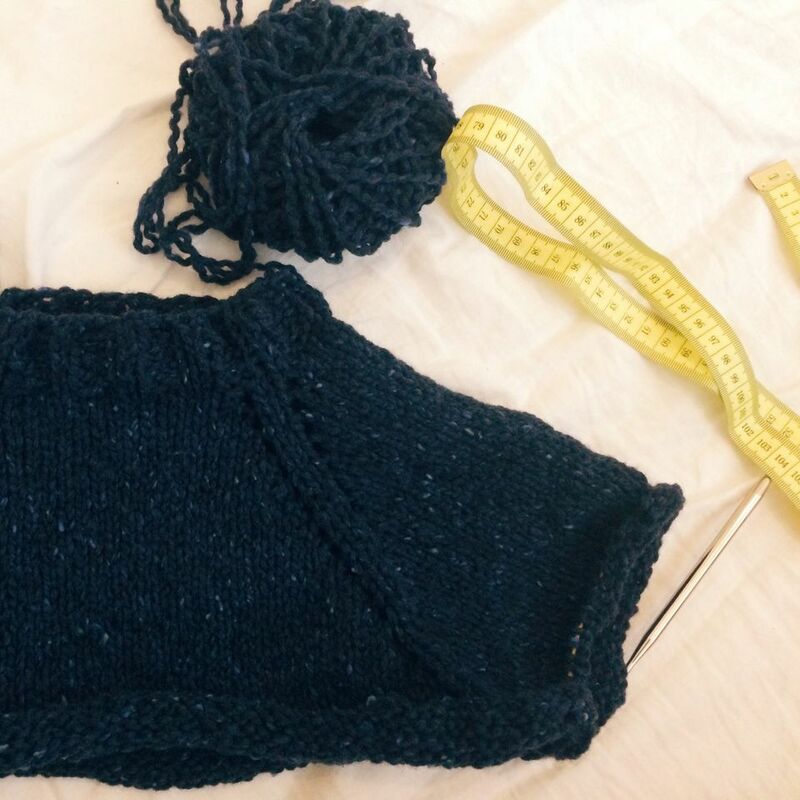 If you've recycled yarn from a sweater or another project, you might need help estimating the yardage. When you work yarn into hanks, it's relatively easy to determine the yardage you have to work with. If you want you can simply measure the distance around the chair or yarn swift that you used to form the skeins, though the exact size of skeins made on yarn swifts may vary if you don't position the swift exactly the same each time. Another way to do it is to simply measure the length of the hank when it's folded in half. Say your hank, wound on a chair, came out at 18 inches. Next, you'd count the number of strands that make up your skein. The example has 109 strands. 18 inches multiplied by 109 strands is 1,962 inches. Divide by 12 and that's 163.5 feet. Do this for each hank of the yarn in question and you'll have a really good indication of how much of the yarn you have available. Using recycled yarn is a great way to not only clean out your closet of garments you don't use anymore it also helps you save money on yarn. Learning to measure your hanks of yarn is a great skill for any knitter to have. It allows you to keep putting those yarns you love to good use.